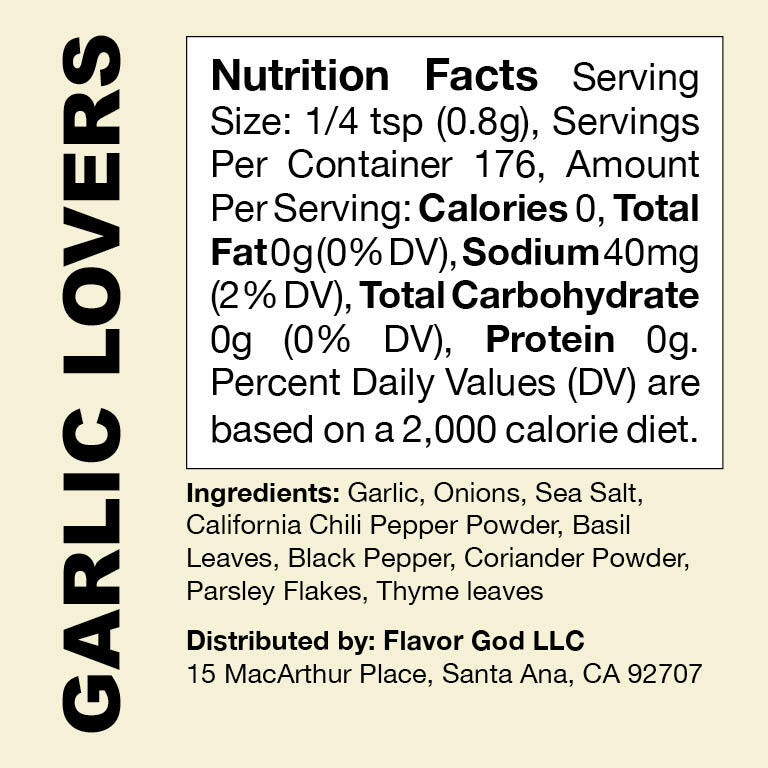 I love garlic and so will you. Of course this seasoning features Garlic but it also shares the spotlight with other amazing flavors and very little salt. Onion, basil, thyme, parsley and other herbs & spices give this seasoning the perfect balance for all your dishes! You know that moment when you invite someone over to your house for the first time and you really want to impress him or her? So you decide to cook, because who knows, maybe you'll get lucky. Add this to your bag of tricks and you WILL get lucky. 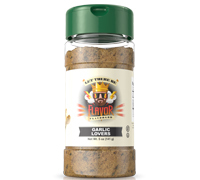 This Garlic Seasonings is guaranteed to get anyone in your house excited and feeling all warm and fuzzy inside. I'm not guaranteeing that you'll close the deal, I'm just saying using this in your kitchen for that first impression will increase your chances by 475%. Trust me, it works.